August is Green | Stitch, Brinn, Stitch! 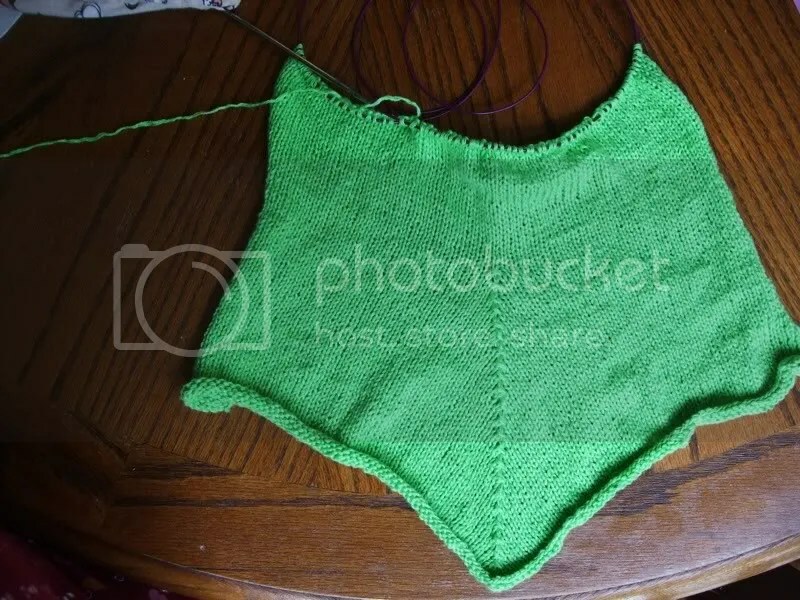 Judging by the projects i currently have on the needles, I’m in something of a green jag (unsurprising seeing as it’s one of my favorite colors). Also, still on the sock jag. I’m working on two projects more or less simultaneously, so neither is finished, but one’s getting there. I’m currently cruising down the foot. 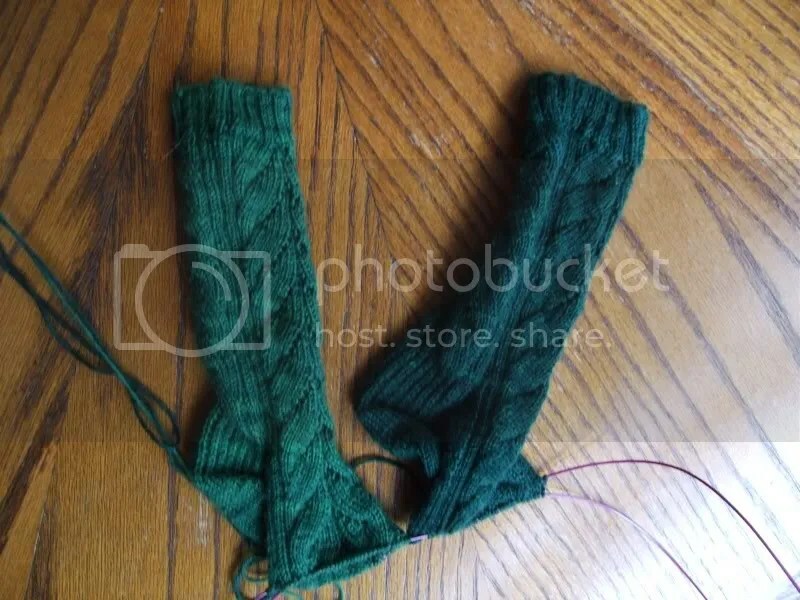 They’re interesting enough to make for perfect television knitting. I finished watching through SG1 and a spotty re-watch of SGA (I re-watched the ones I like and now I’m sad there’s no more because OH I love that show). I’m currently about three episodes into Stargate: Universe and four episodes into the first season of Game of Thrones (which I like, but OH DEAR it is depressing as hell. Daenerys (WHATEVER) is hella awesome though). Love the sock – pattern and color are good combo. Did you make the shark mittens up there? They’re awesome. I did make them. : ) Thanks! They are probably my favorite thing I’ve ever made.